This book not only covers the highlights of Lou Reed's career but explores lesser-known facets of his work, such as his first recordings with doo-wop group the Jades, his key literary influences, the impact of Judaism upon his work, and his engagement with the LGBT movement. 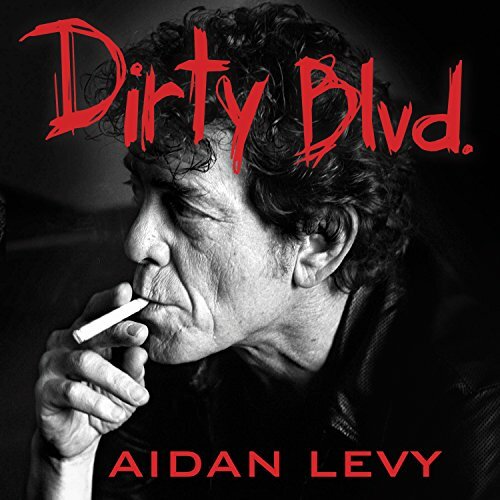 Drawing from original interviews with many of his artistic collaborators, friends, and romantic partners, as well as from archival material, concert footage, and unreleased bootlegs of live performances, Dirty Blvd. exposes the man behind the myth, the notoriously uncompromising rock poet who wrote songs that transcended their genre and established himself as one of the most influential and enigmatic American artists of the past half century. Pretty entertaining, very informative. I have a different approach to Lou Reed songs now. Recommended. I love the story, the icon, Epic. A lot of stuff I certainly didn't know? I could have done without the overly verbose descriptions however? Not impressed, I mean who talks like that? No one I know, but I guess I'm simple. I don't want to listen to a story with a dictionary and a thesaurus next to me... Also, the obscure literary and psychological bullsh*t gets a little old. I think Reed wouldn't have appreciated that. I'm a huge fan of Lou's music. The detail covered in this book helps one understand why and how Lou was like he was. A very contradictory person, Lou's personal and professional lives are given excellent attention in this very solid biography. The book is pretty informative and obviously written by a fan of Lou but there are many times when I was listening where the author would just throw in a slew of big words for no reason whatsoever. It seems to be in there more to make the author look good then to convey anything but it only comes of as pretentious. i was also hoping there would be some stories about Lou and his treatment of his first wife but it was barely touched on.